As a publisher, you understand that the success of your publication base on the knowledge. In most cases, publishing is a business venture. And as such it requires many skills built upon the knowledge from many walks of life: marketing, sales, IT and many others. We help publishers in their journey since 2011. During that time we have observing digital challenges faced by all type of publishers. It is not just about a choice between different publishing strategies and marketing tactics. It is also about keeping up with digital trends and being one step ahead of the competition. Our goal is sharing knowledge to make publishers’ digital journey easier and more effective. That is why we have collected the most useful tips and successful magazines case studies to create email course for every publisher who wants to grow one’s magazine readership, improve marketing skills or just rethink some digital sales-related tactics. Selected, practical tips, gained over seven years of our experience, can get to your inbox for free. It might be a bit of an exaggeration to say that digital publishing is a quick and easy way to grow your business. But the truth is that even a bit of practical knowledge can bring satisfying sales results. know a lot more great tips which will improve your publishing experience. At the end of this free course, you will get a very nice gift from us. I assure you that it is worth waiting to have it received. Feel free to use all these hints and tips with your own magazine or mobile app. – How can I sign up for the free digital publishing course? Fill out the form below and start getting our lessons. 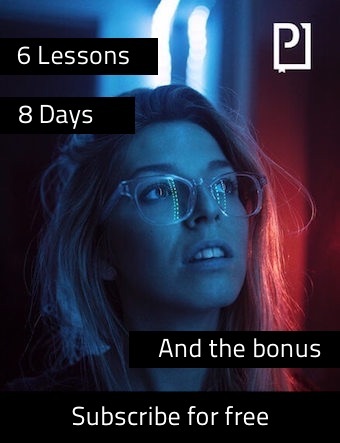 During the upcoming 8 days you will be receiving 6 lessons about “digital publishing” and “digital marketing for publishers” for free right to your inbox. When you sign up for the free digital publishing course and receive the first lesson, sit comfortably and know valuable advice, useful tips and inspiring stories. — What do Publishers and PressPad have in common? We are both interested in constantly getting digital knowledge, improving marketing skills and developing publishers’ market. So, if you like our idea of free courses, let us know what part of the publishing industry you want to explore more and complete the questionnaire below. mobile marketing guides and webinars for Digital Publishers. We understand that the publishing in the digital era is challenging, so if you have any questions feel free to contact us. We are also waiting for your feedback in comments below. Previous Post Over 10 000 App Installs. How to Promote a Mobile App to Achieve That Much? Next Post Does It Pay to Use a Paywall?